INNOGY SE, Elektri tootmine ja jaotus, Electricity, Electricity network, EUROPAGES'sis. 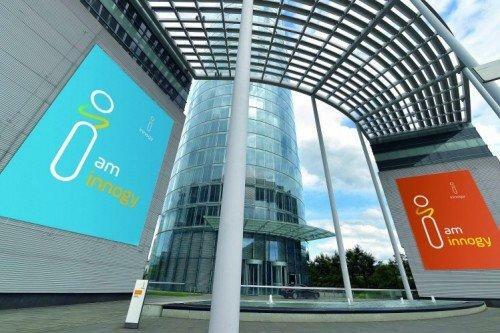 innogy generates, for example, energy from renewable sources and ensure that it gets to your home. We build intelligent networks. And we offer innovative energy services, in fields such as storage technologies, electromobility and energy efficiency. Our company is Germany’s leading energy company, with revenue of around €44 billion (2016), more than 40, 000 employees and activities in 16 countries across Europe. With its three business segments Grid & Infrastructure, Retail and Renewables, innogy addresses the requirements of a modern, decarbonised, decentralised and digital energy world. Our activities focus on its 23 million customers, and on offering them innovative and sustainable products and services which enable them to use energy more efficiently and improve their quality of life. The key markets are Germany, the United Kingdom, the Netherlands and Belgium, as well as several countries in Central Eastern and South Eastern Europe, especially the Czech Republic, Hungary and Poland. With bit.B, our energy and process monitoring system we offer a radio-based technology, that gathers and analyses data. This way it detects important potential savings in your business. For this purpose, sensors collect energy, environmental or production values, for example, at the electricity meter, the light barrier, on a specific machine or in the sub-distribution. As an entrepreneur you have always full access to the collected measuring data via the bit.B Online Monitor.